We had a great time meeting and training with many listeners last year we are looking forward to doing it again. Special guests include Samir Chantre and Gina Franssen. 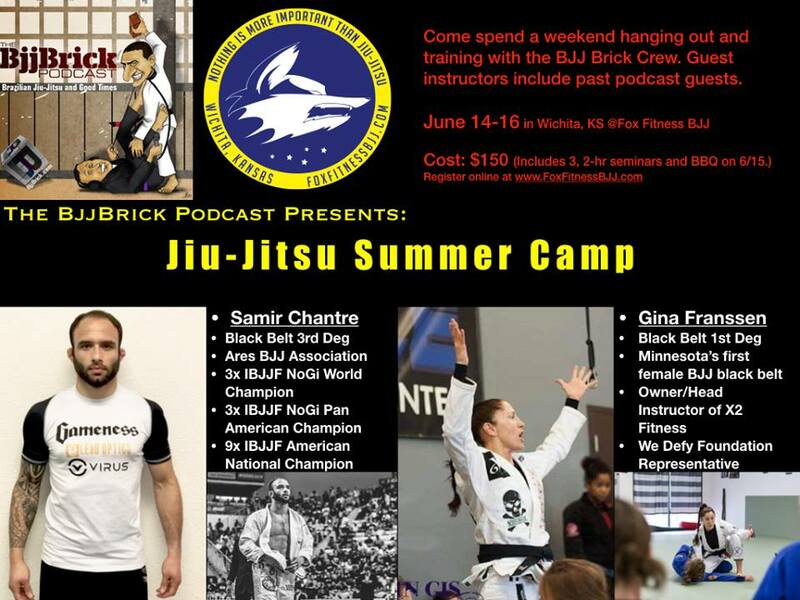 Our goal is for all the attendants to have a fun weekend of BJJ and experience growth in their game of jiu-jitsu. This entry was posted in Uncategorized by byronjabara. Bookmark the permalink.